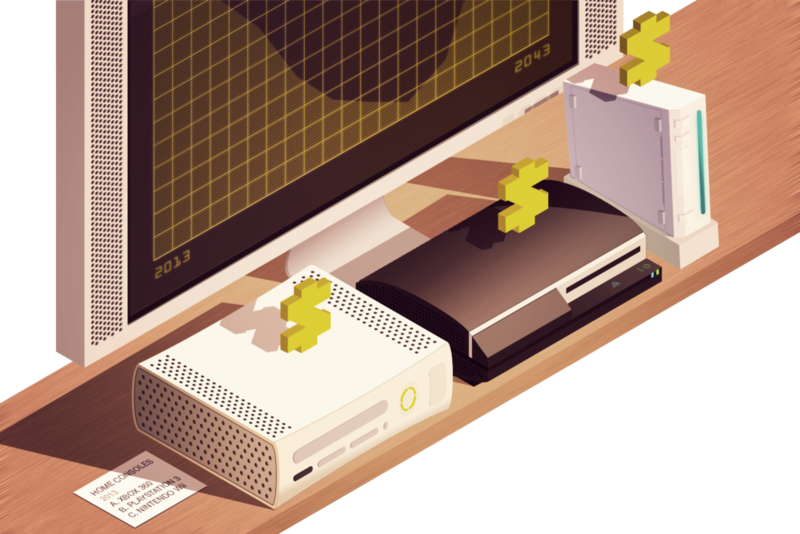 I made a bunch of little illustrations for an article on Polygon.com about the future of the current-gen consoles. I decided to make the images as though they were interactive displays in some future videogame museum. You can see all of the images below. The images in the article itself are animated and react to the readers scrolling, you can check out the article here.